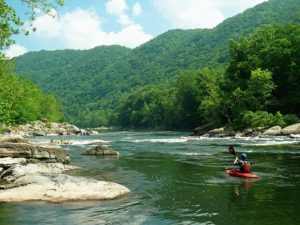 For down-home country living and mountain adventure, West Virginia is one-of-a-kind wonderful. You’ll love furthering your career in one of The Mountain State’s modern health care facilities. William R. Sharpe, Jr. Hospital, located in Weston, West Virginia and operating under the direction of the West Virginia Department of Health and Human Resources, was opened in 1994 and replaced the old Weston State Hospital. It is a 150 bed acute care psychiatric facility with full accreditation from The Joint Commission on Accreditation of Healthcare Organizations. Sharpe Hospital offers a wide range of services to patients either committed to the hospital through civil commitment or, in the case of forensic patients, ordered through the judicial system. The hospital works closely with the Community Behavioral Health Centers and with other community organizations to ensure a smooth transition back to the community after discharge. The hospital has close, ongoing cooperation with University, Department of Behavioral Medicine & Psychiatry, which provides professionals from different backgrounds (Psychologists, Clinical Social Workers, Physician Assistants, and Psychiatrists) to the hospital. Over the years, Sharpe Hospital has emerged as a premier center for mental health education, as well as research, in the state of West Virginia. Mildred Mitchell-Bateman Hospital, a state DHHR-supported psychiatric hospital, is located in Huntington, West Virginia, USA. It is a training site for future health care professionals attending over twenty colleges and educational institutions in the tri-state area of southwestern West Virginia, southeastern Ohio and northeastern Kentucky. Mildred Mitchell-Bateman Hospital provides on-site learning experiences for educating physicians, nurses, practical nurses, psychologists,, counselors, health care administrators, technicians and supportive services personnel. In 1988, Mildred Mitchell-Bateman Hospital was initially accredited by the Joint Commission on Accreditation of Healthcare Organizations, and certified by C.M.S. (Medicare) in December 1990. Hopemont Hospital is a 98-bed licensed Medicaid-certified long-term care facility in Terra Alta, WV. The original building was developed to care for the state’s citizens with tuberculosis. It has operated as a Medicaid-certified long-term nursing facility since 1987. Hopemont’s talented and behaviorally trained staff make it possible to accept for care and treatment, persons with behavioral disabilities and those whom the private nursing facilities are unable to serve and treat.